Omilia’s Omni-channel Virtual Assistant platform provides a seamless human-like end-to-end conversational experience for self-service across all channels. By leveraging the Omilia technology stack, large enterprises can transform their Call Centers into a next-generation digital experience, say goodbye to complex IVR menu trees and poor customer service, and deploy chatbots on any digital channel, all from the same infrastructure and application. In the past 3 years, Omilia has made huge waves in the enterprise customer care and self-service markets. Most notably, Omilia’s deployment at Royal Bank of Canada, the largest bank in Canada and the 6th largest bank in North America, boasts an unprecedented 96% Semantic Accuracy and 90% Task Completion rates, with a world-record 4.26% Word Error Rate. Omilia’s technology has helped many enterprises achieve double-digit increase in self-service containment, while dramatically improving customer satisfaction. 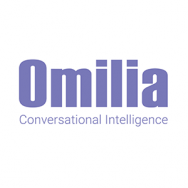 In 2017 Omilia deployed its Conversational IVR for the first time in the United States with one of the largest credit card issuers in the US, together with a number of new large deployments in Russia. With the rise of Alexa and Google Home, Omilia has uniquely positioned itself to offer its customer the ease of only having one virtual assistant application to maintain and manage.